New wheels tested on the car as a second set for track days. 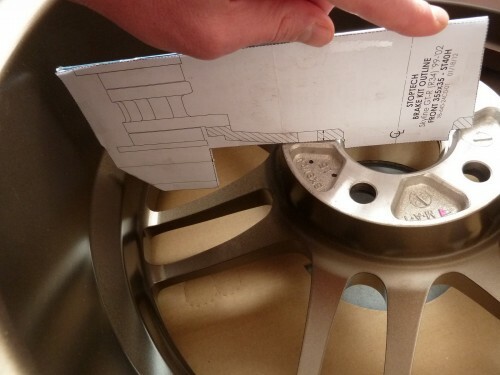 Wheels are Enkei RPF1 18×9.5″ ET15 in bronze. This is a limited edition not to be mixed up with the standard gold color ! I ordered the wheels on Oakos and they’ve been more than helpful with me ! The good news is they also clear the Stoptech front brakes that I’d like to fit on the car. I tested with the template found on stoptech website : enough room for a futur brake upgrade. More on this soon.